This past Thursday I had the opportunity to participate in the second annual Diversity Dialogue, which was hosted by Ad 2 Orlando. 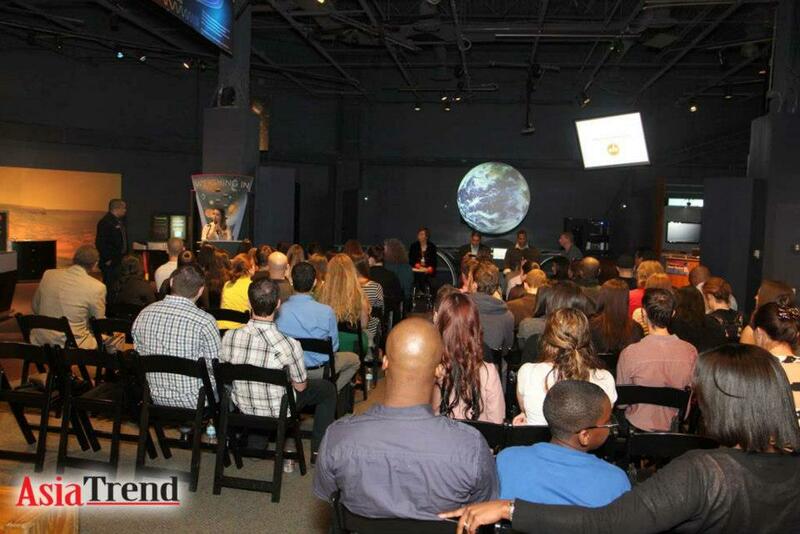 The event, which was held at the Orlando Science Center, focused on discussing the topic of diversity in advertising and marketing. 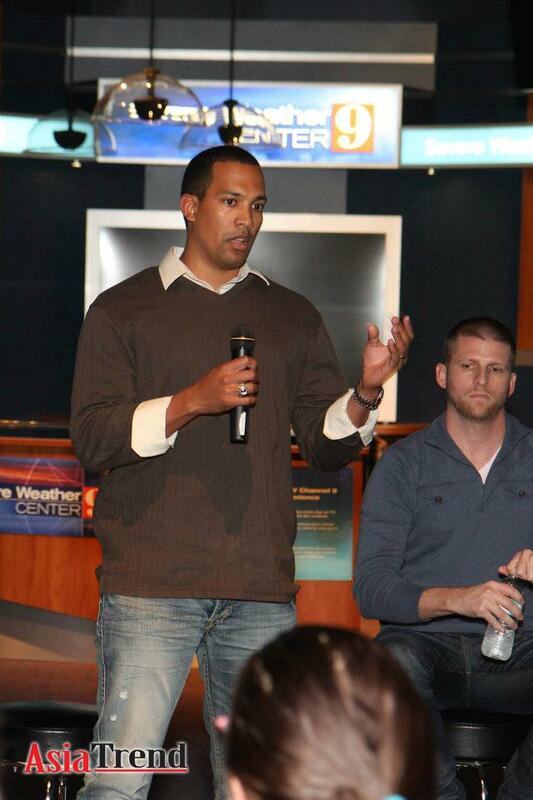 Joel Montilla, head of the diversity committee for Ad 2 Orlando organized the event and invited me to be on the panel. Wilson Camelo is Agency Principal and Chief Marketing Officer at Bauzá & Associates. He has nearly 20 years of experience as a senior communication strategist in both the general market and Hispanic market. He has worked with local, regional and national clients including Feld Entertainment, Northeast Utilities, Bigelow Tea, Krispy Kreme Doughnuts, Bruegger’s Bagels, Brighthouse, Cambridge College and Steward Healthcare. He is also the author of Latino lingo, the longest-running blog focused on Hispanic marketing. Learn Everywhere empowers schools and corporations to integrate mobile devices into their learning environment. Prior to Learn Everywhere, Joshua founded NextZen Media, a new media consulting practice. 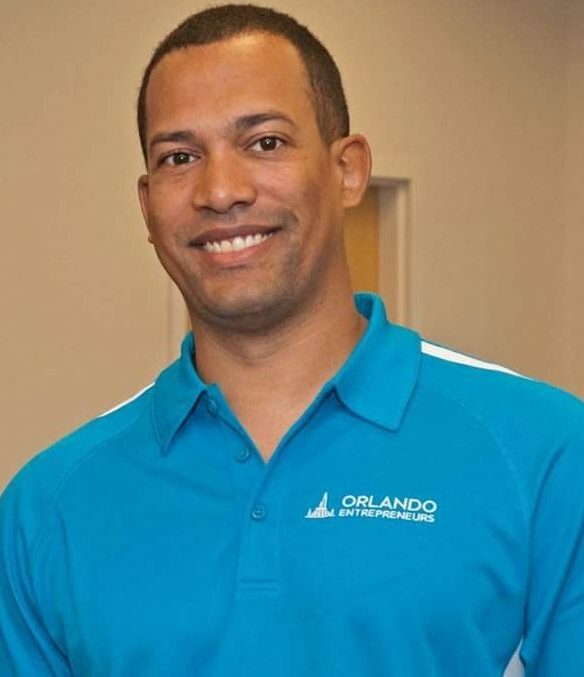 Joshua has helped organizations such as Orlando, Inc., Central Florida Partnership, University of Central Florida Business Incubation Program, National Entrepreneur Center, and the City of Orlando to find their voice on the web through the use of social media. As the Entrepreneurial Marketing Professor at the University of Central Florida, Joshua shares his experience and expertise in entrepreneurship, marketing, mobile, and social media with his students. Outside of the classroom, Joshua speaks to various organizations and at conferences about the same topics. Shally Wong earned her Bachelor Degree in Business Administration/MIS from University of Central Florida. She started her career at purchasing department for Darden Restaurants in 1994. Later she was hired by Toys R Us, Asia in Hong Kong and handled purchasing issue for Hong Kong, Taiwan, Singapore, Malaysia and Indonesia. Later, she coowned China Garden Restaurant in Winter Park for 5 years and opened Global Media & Productions – media/advertising company in 2005. She enjoys working with different nationalities. She is currently the President of the Chinese American Association of Central Florida which she has served since 2006. 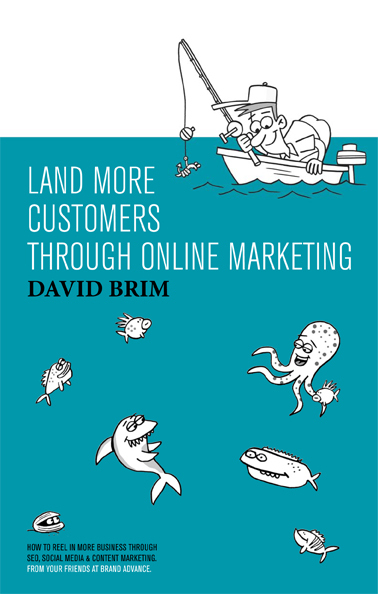 David Brim is the CEO and founder of Brand Advance, an Internet marketing and design agency based in Orlando, Fla. Since 2009, Brand Advance has helped hundreds of companies, spanning a variety of industries, grow their business online. A graduate of the University of Central Florida, where he majored in marketing, David is the only two-time winner of the school’s Joust Business Plan Competition and was also a finalist in the in the Sunshine State Venture Challenge in Cocoa Beach and the Nascent 500 Business Challenge in Indianapolis. Prior to founding Brand Advance, David helped start and manage the premium blogger and influencer program at IZEA and Co-founded GroupTable, a collaboration software with over 10,000 users around the world. David’s latest venture, Bright Impact, is a technology that helps students and educators manage their service learning initiatives and measure their impact. Sus-Hi, my favorite restaurant, sponsored the event and the Ninjas kicked off the night with pure deliciousness. Their food is amazing and I highly recommend giving Sus-Hi a try if you have the opportunity. Sus-Hi was founded by two young local entrepreneurs Robert Ly and Teresa Uyen Chan that I’m thankful to call friends. I look forward to seeing their business grow. After panel member introductions and dinner, the panel was asked a variety of questions from the audience related to diversity in advertising and we shared our thoughts and perspectives. Each of the panel members had a diverse background and answered the questions through their unique lens, shaped by their culture and experiences. During the dialogue Shally Wong shared a story from her experiences working with Disney that really illustrated the importance of understanding and appreciating diversity. Disney built and opened a Magic Kingdom park in Hong Kong. The park didn’t perform as well and the Disney team spoke with Shally about why. She explained that many of the youth in Asia were not familiar with Mickey Mouse, or a variety of the other Disney Characters. The primary reason is that they had their own cartoon and anime characters that they grew up with which became part of their culture. In addition to this she mentioned that the Asian cultures place a very high value on education. Shally went on to say that she would not have advised for them to open up a Magic Kingdom park initially, but instead…Epcot. Epcot is a Disney park that celebrates diversity and gives visitors the opportunity to take a peak into the various cultures around the world. This is my favorite Disney park and is especially enjoyable during their annual Food & Wine festival. I thought that Shally’s story was very powerful. No matter where we live, or what religion, ethnicity or culture we may be a part of…many of us have a desire to understand and experience other cultures. Gaining a glimpse of their unique food, customs, beliefs and way of life broadens our own knowledge and perception and helps us to understand, appreciate and celebrate diversity. This understanding and appreciation can also make us better marketers. In marketing and advertising it is essential to view the world through the eyes of who will be receiving your message. Put yourself in their shoes through research and gain an intimate and true understanding of them before marketing / advertising. There is a difference between brand identity and brand image. Brand Identity is how a brand sees themselves and brand image is how someone else views the brand. A brand may think that they are doing something for a good cause and are spot on with their messaging, but the perception of the person receiving the message may be completely different. A perfect example of this is the recent Sumsung commercials for their new Galaxy S IV phone. Samsung received a lot of negative press and comments on social media related to their recent commercials and campaign. Though Samsung’s marketing team may view American women in this way, many American women don’t view themselves in this way and not only don’t identify with how they were represented, but were in many cases offended. In addition to thinking about brand identity and brand image, brands must also consider the difference between customer identity and customer image. We may perceive a prospect / customer in one way, but that may not necessarily be how the members of that specific audience perceive themselves. Shally’s example of opening a Magic Kingdom location in Hong Kong was another example of this. It’s easy to forget that if you show 5 people the same thing you may get 5 different reactions. We all see and interpret the world through our own lens. That lens, created from our education, culture, religion and experiences shapes our perception, thoughts and behaviors. This is what makes the world special and why we have such a diverse group of people, brands, products and experiences to appreciate. When people think of diversity they often think “cultural diversity”. Though this is one type of diversity, there are many others. We are all fundamentally different, but there are certain common bonds that group us together with certain other people. This may be…. What’s interesting about this is that the things that make us similar to certain groups of people and bond us together also make us different to others from their perspective. Not to be cheesy, but diversity is the “spice of life” and keeps life interesting and entertaining. It enables us to have deeper bonds based on certain commonalities we have with people and gives us the opportunity to understand and appreciate the differences of others. After all, life would be very boring if we all thought, looked and acted the same as everyone else. As marketing and advertising professionals it is important for us to never forget to see the world not only from our perspective, but also from the view point of the customer we are seeking to reach and influence. It is also important to remember that at a high-level we all share certain common bonds and are all human. But, with that said, the more we seek to understand the differences and view points of the diverse customer prospects we are targeting the higher the likelihood that a creative asset, messaging and overall campaign will have success. Props to Joel Montilla for organizing the event and a shout out to my fellow panel experts and the audience. I was happy to be part of this wonderful event and enjoyed the experience.